On our first night after a not so great dinner, we found a gem of a cafe. Karafirin in Sultanahmet has only been opened for about five months and I was glad we walked by it as it really made my night. After a tiring flight and not so great dinner, a good cup of tea and some indulgent desserts was the only way to make a girl smile. We were immediately captured by the exterior of this cafe, with warm lighting and many attractive cakes staring at us with those puppy dog eyes asking us to eat them. How could we say no to that. There were cakes, cookies and Turkish desserts on both left and right side as we enter. They made it so difficult for us to focus. All of them looked good and really, there were too many to choose from. It was such a warm and inviting cafe that even children felt comfortable exploring about. As we entered, on the left was a glass cabinet filled with muffins and little almond cakes. Then further up were more cakes, cookies and meringues covered in glass cloches. And on the right side, next to the counter were lots various Turkish desserts including baklava. Then further up were where the French patisserie were beautifully displayed. Don't they look pretty as a picture!? As it was only few days left before Christmas, they even sold adorable Christmas stockings and cute little packed edible gifts as stocking fillers. How so cosy and warm the interior was that it was perfect to chill and relax. 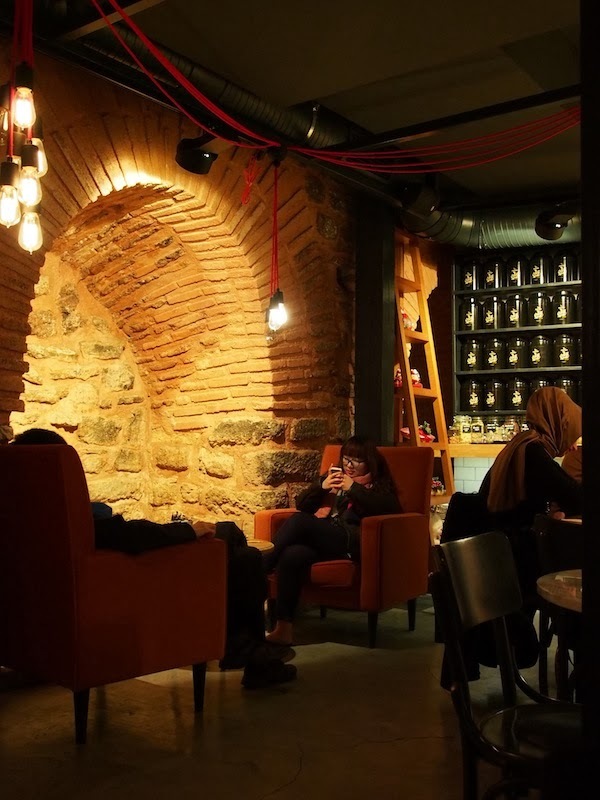 I was told that the phrase on the wall means something like 'Let's have tea..' since tea is part of the Turkish culture. This was what we tried. The almond cookies, pastry encased coconut chocolate filling and the last one was our favourite chocolate and coconut ball. 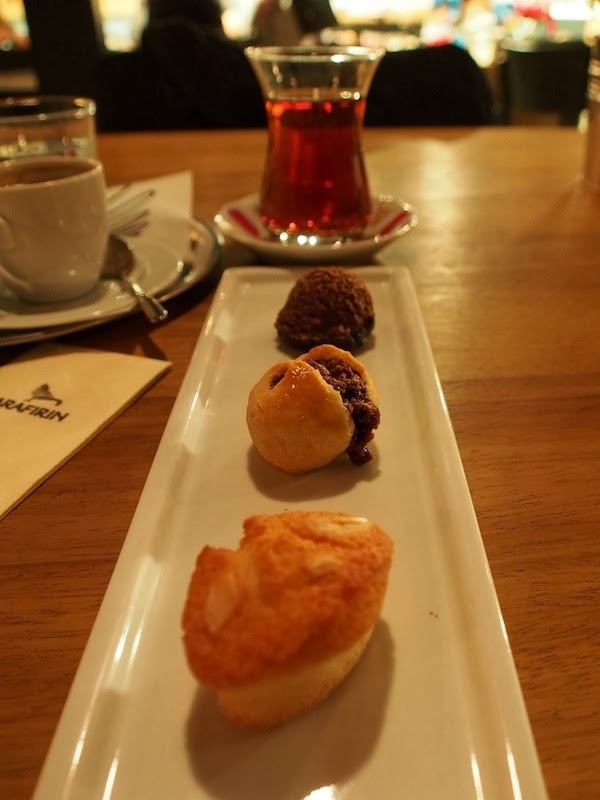 While we were sat enjoying our Turkish tea and Turkish coffee accompanied with those cute little sweets, we noticed an oddly placed door which seemed a little difficult to reach. 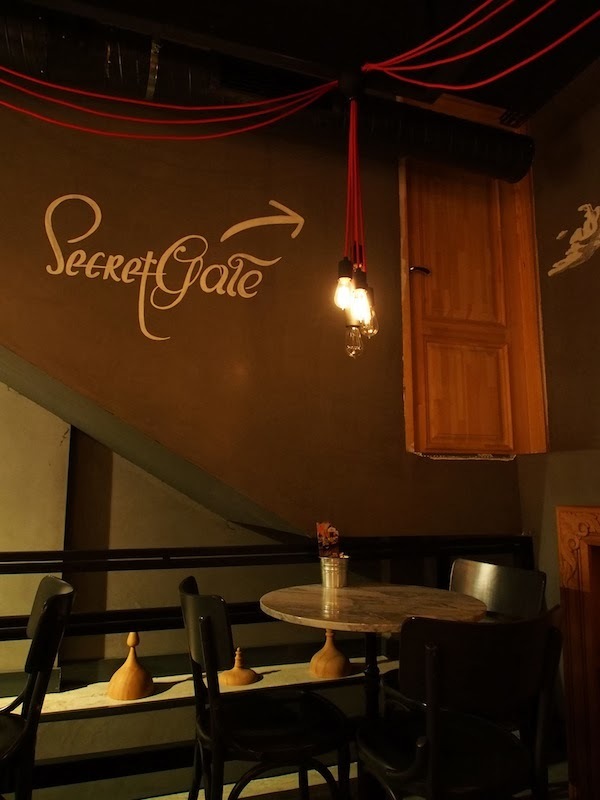 There was even a painted sign on the wall that says it's a 'Secret Gate'. Curious as a cat, I finally found out where that door leads to. It was not an entrance to Narnia nor was it to Hogwarts. The manager told me it was to their store room filled with candies and chocolate!! I don't know about you, but that's one great door to enter. 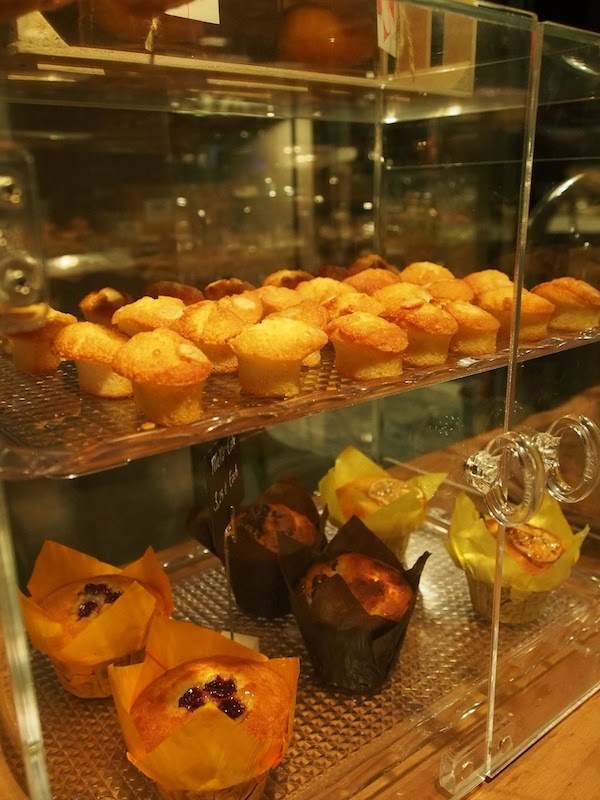 A charming cafe with lots of attractive and good desserts, accompanied with friendly service. Yes, we were meant to try more desserts the next time but did not have enough time. So maybe the next trip to Istanbul.